Searching for reliable catamaran charter in Croatia? Or looking for luxury catamaran rentals? We have the largest fleet to choose from, irrespective of your budget or the duration of the sail. We only work with high quality yachts, and we make no compromises for less. Regardless of whether you want to sail from Split, Dubrovnik, Zadar or Kornati, we have catamaran available in every area. You can also rent a catamaran for a week with skipper or bareboat, and opt for sailboats or powered ones. Enjoy and explore beautiful Croatian islands and coastline. As a part of larger Globe Yacht Charter group we have profiled our service in many fields, and now have reached the recognition of being the best catamaran charter in Croatia! Why Rent Catamaran in Croatia? When planning a Croatian vacation, make sure to check our sailing catamaran rental offers. 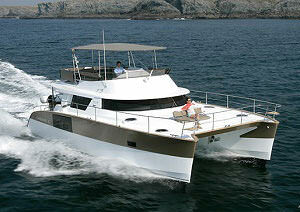 With charter development in this Mediterranean country, catamaran charter prices will really surprise you. 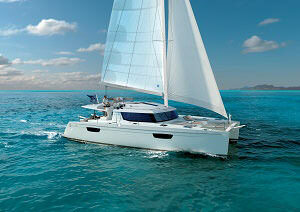 Once reserved only for rich, now days multihulls are accessible to virtually everyone. Beside acceptable prices, you will find a fantastic mix of culture, history and beauty when you go on a 7 or 14 days’ adventure yacht trip in Croatia. Though every individual has his own tastes when it comes to travelling and adventure, perhaps the best part when you rent a catamaran in Croatia is that there is something for everyone. And if you are one of those people who want a little of everything, you will be delighted to know that you have an ideal mix of everything here in luxury catamaran rentals. Whether your liking is for sunset spots, wine tours or for cycling, you will find it here. Those with other varying tastes will also not be disappointed with their Croatia sailing and adventure experience. Early booking discount of 10% on all catamarans. Charter Catamaran Croatia is a professional charter company which specializes in chartering of catamarans in Croatia since 2004. Being a part of Globe Yacht Charter group, we have the requisite experience, logistics and technical support. They are becoming more and more popular part of yacht charter in Croatia with every passing day because of the great sailing experience that they provide and the extra space for adults and children on board. Also, don’t forget to check our all inclusive catamaran charter packages! Whether you want to rent a catamaran in Croatia for simple sailing or for corporate team building, for going on nautical tourism or for enjoying your vacation in any other way, the company has new and well maintained privately owned fleet of multihulls. Our technical team takes care of quality, maintenance and preparation of the catamarans. We will also help you organize the trip with great advice on how to prepare what to pack for catamaran holidays in Croatia. Our fast and reliable services are totally transparent with no hidden costs. Our experts attend to each and every customer with meticulous care and attention to plan the most ideal catamaran charter in Croatia for you and your family members to meet all your budgetary and other requirements and needs. Choose one of our sailing cats like Lagoon 400 S2, Lagoon 42, Bali 4.3 or Fountaine Pajot 44 at the great price, and spend unforgetful catamaran holidays in Croatia. If you don’t feel like sailing, there are always powered ones like Lagoon Power 44, Sunreef Power 70 or Lagoon 630 Motor Yacht to rent. Very spacious and stable on sea. In our offer, we have most luxurious large crewed catamarans in Croatia. You can hire Lagoon 620 or Lagoon 52, and enjoy your holidays, while our crew will take care of everything else. Having served more than 2,500 guests to our complete satisfaction, Charter Catamaran Croatia maintains an overall 5-Star rating and enjoys the status to be recommended catamaran company in Croatia. The satisfied customers have provided word-of-mouth publicity to the company among their friends and acquaintances and many have been repeat customers as well. The company stands to gain from all this as they have a large portfolio of yachts for rent including small sailing bareboats, motor sailors, luxury yachts, gullets, sailing and power catamarans, power boats and luxury mega super yachts. Thank you for best week of my life. The boat performed perfectly. Out skipper Josko was just fantastic captain and great fun to have. He really made sure that we had the possibility to enjoy this week to the max. Very professional and good anticipation to weather conditions! I am very happy to have him as a skipper. We had such a great week, despite two days of rain. This is why Croatia is so unique. There is always something to see and something to do. We couldn’t believe how romantic Croatian small towns are on the rain. The boat behaved very well, the food was exceptionally good in the konobas, and all the locals were friendly and helpful. Our skipper was very proffessional but also friendly, took us to the best places such as see some beautiful caves and bays, sea is so clear and clean. Catamaran with skipper or bareboat? Our sailing catamarans can be rented with skipper or bareboat, that is without skipper. Which option is right for you depends on whether you have valid sailing license or not. You can find your preferred yacht in one of the marinas located along the beautiful Croatian Adriatic cost. Whether you choose the skippered charter like Lagoon 450, Lagoon 440, Fountaine Pajot Salina 48 or the smaller Lagoon 39, Lagoon 380, Lagoon 400 S2 or Nautitech 44, your comfort within your budget gets the priority and is ensured by the company. You can enjoy your stay on catamaran all the more if you hire a trained hostess, professional and experienced cook or a deckhand. Also, luxury crewed yachts like Lagoon 620 or Lagoon 560 already have skipper and hostess as permanent crew. Either way, you get full value for the money that you spend when you book a yacht with Charter Catamaran Croatia. 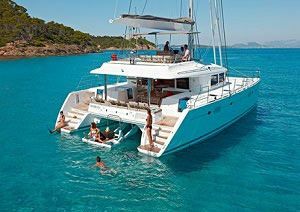 Why rent catamaran at ‘charter-catamaran-croatia.com’? Largest fleet of catamarans in various sizes to suit all budgets. Prompt response and personal attention right from the moment you send an inquiry with your requirements and budget. Full value for your money. Though the catamaran you rent may not be the cheapest deal available in Croatia, it will definitely be the best value for price that you can find anywhere. Quick online booking and confirmation. Secure payment and assured confidentiality of all your details and particulars. Numerous starting bases to choose from. Why Yacht Charter in Croatia is gaining in popularity? The Mediterranean country of Croatia encompasses more than 1,000 islands and has a long coastline on the Adriatic Sea, which makes it ideal for private catamaran yacht charter. The country is poised between the Balkans and central Europe and has a rich cultural legacy. Croatia has many attractions. You could go to Dubrovnik and check the famous old town, Game of Thrones filming sites or tour the city wall. You can spend some time in Split and visit roman Diocletian palace, or many of local fairs and wine festivals. If you miss out on the above, you may choose to rent catamaran in Croatia and visit Central Adriatic with Kornati national park. Or you can try Istria and Kvarner Gulf. Istria as the largest Croatian peninsula and the islands of Kvarner Gulf are paradise to sea lovers. This area is adorned by old towns, marvelous beaches and numerous small island along the coastline, ideal for catamaran cruises. Charter Catamaran Croatia has contacts in every island and marina. We will get you attractive discounts and offers in various restaurants and party locations and help you save money. The experts will also help you purchase all your food and beverage items before the charter. Sailing Holidays in Croatia offers a breathtaking natural beauty, interesting architecture, vast history, incredible wines, friendly and hospitable people and delicious seafood. Croatia’s island-speckled coastline with crystal clear water and dazzling white beaches with pebbles will simply leave you spellbound. The Dinaric Alps which stretch from Italy to Albania and hug the coast of Adriatic add to the natural beauty. From open sailboats for rent, luxury yachts to traditional crewed gulets, we have a lot of yachts for everyone to choose from. With bases in Split, Trogir, Dubrovnik, Pula, Šibenik and Zadar, there is wide range of sailing areas we are covering. So, whether you like to check Kornati archipelago, Mljet national park or beautiful caves around Vis island, we have catamaran there. Croatia, with its crystal clear blue water, is becoming more and more popular and attractive destination in nautical world, as newer and more luxurious yachts are coming to market. Best time to rent a yacht in Croatia is the summer time, when weather is calm between May and September, which gives an opportunity for easy-going sailing charters. 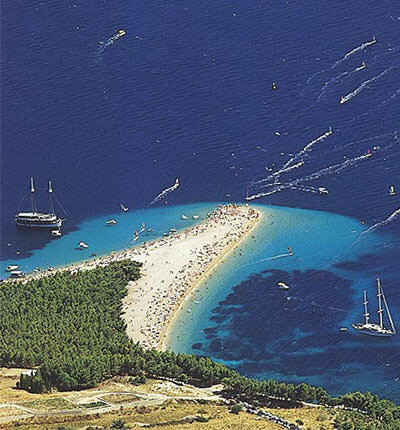 Dalmatian coast is characterized by hot dry summers and mild winters, with average temperatures between 23 and 30C. You can inform yourself on what to pack for different parts of the sailing season here. Coast of Adriatic is additionally stacked with dreamy coves, wonderful old towns, bays and sunny beaches, where you can enjoy tasty local specialties like grilled fish, lamb on spit, prosciutto and top it with awesome wines. That’s why we are following that trend, and increasingly recommend sailing in Croatia to our returning clients. Choose one of the recommended routes and enjoy. If you book a sailboat, power boat or catamaran charter in Croatia for the first time, you obviously need to pay attention on regulations and skipper licenses requirements. To charter a boat, it is required to poses a valid nautical license, on top of navigation and sailing skills. Please contact us for detailed information regarding valid licenses accepted in Croatia. If the license you already have is not accepted, we can arrange a short sailing course where the necessary practical and theoretical skills can be acquired. Catamaran has two connected hulls for more stability. Though the principle on which a mono-hull and multihull sail is the same, the latter provides more stability, speed and comfort because of two hulls and two keels. When it comes to beam reach and downwind sailing, it sails faster than a mono-hull. A yacht is your perfect choice for a comfortable and easy going cruise for you, your friends and family. With 4 to 6 cabins that can accommodate 8 to 12 persons and a large main deck outside, catamaran will be the ideal choice. Why rent a catamaran? If you like to sail, but also would love that extra space on board, catamaran charter Croatia is your best choice. We offer large selection of more than 600 different boats in all Adriatic sailing areas. With brands like Lagoon, Fountaine Pajot, Nautitech, Bali and Catana Cats for rent, our fleet consists of brand new catamarans and well maintained older yachts with a good price. Although these vessels are easier to maneuver in tight spaces thanks to their two engine setup, they are still much wider than regular monohulls, so they require special attention while in marinas. In general, these yachts are faster and more stable than regular sailboats, which is something that is appreciated by both families and professional sailors alike. What I have to do to book a catamaran? 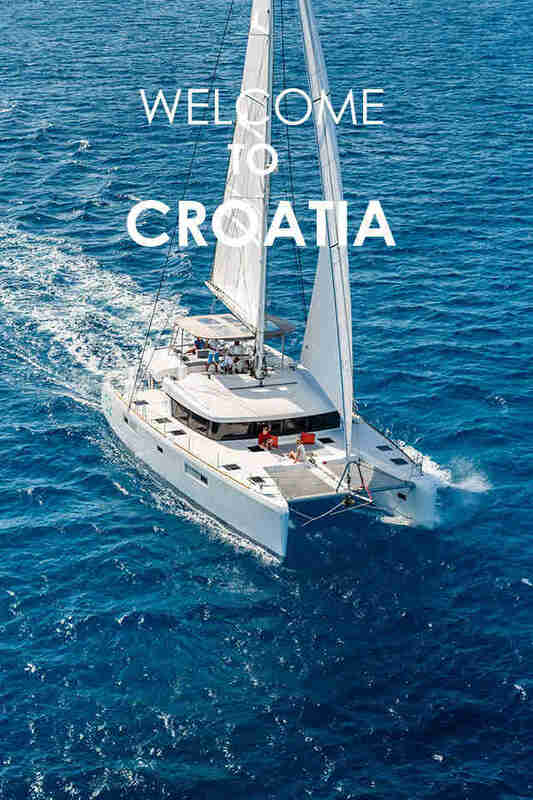 So, you need not plan big for a Croatia vacation or when you want to rent a catamaran, as rental prices are not exorbitant as they used to be. You just decide where you want to charter from, departure date, arrival date and your price range. Rest of the planning will be done by the experts at Charter Catamaran Croatia in the most economical and convenient so that you enjoy a perfectly comfortable vacation. They will even let you have the full benefit of their early bird offers, last minute offers and other special offers, as applicable. What is the right choice for you? We will be glad to assist in finding the right type of yacht, which will suit all your needs for perfect yachting vacation. Just send us an inquiry, and we will guide you through the whole catamaran charter Croatia booking process.